The collapse of Northern Rock proves that profitability is no defence against liquidity risk: the company made profits in the quarter before it disappeared. 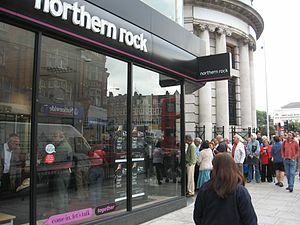 Following a significant fall in market liquidity, Northern Rock was unable to meet its payment obligations. Only a few voices raised liquidity risk issues until now and, even if the regulators did monitor banks’ liquidity management, they rarely raised serious challenges. During this financial crisis, risks tended to repeatedly transform from one type to another and companies face the challenge of placing greater emphasis on developing an integrated view of risk management across all types of risk. determine net liquidity position under each scenario. Times of crisis are perfect opportunities to refocus on fundamentals: you can show that you truly understand your businesses and its potential risks with an integrated risk management perspective.